Real estate contracts outline the responsibilities and rights of the buyer and the seller during the transaction. Once the contract is executed, it is legally binding — even if one party didn’t fully understand its obligation as detailed in the contract. A real estate attorney with Goosmann Rose Colvard & Cramer, P.A. is committed to ensuring your real estate contract is in your best interest. Contact our law firm today to learn how our contract review service can help you. Every contract should be drafted and follow the statutes of property law, which differ from state-to-state. The most common real estate contracts include lease agreements and purchase agreements. This common type of contract creates a transaction between the property owner and the property renter. It is frequently used in residential and commercial real estate and generally outlines a specified monthly rate, security deposit, and the responsibilities of the owner and renter during the duration of the lease. Offer to Purchase and Contract - New Construction (Standard Form 800-T): These are residential real estate contracts used for when the seller of the property is completing a new residence upon the property, and it will include many provisions specific to new construction projects, including, for example, construction evaluation and completion periods, specific construction plans and specifications for the building project, insurance requirements during and after construction. Agreement for Purchase and Sale of Real Property (Standard Form 580-T): This type of contract is used for the sale and purchase of commercial real estate and can be used for any form and format of commercial property, including vacant land to be developed commercially and commercial properties that are either owner-occupied or occupied by multiple tenants. Offer to Purchase and Contract (Standard Form 2-T): This contract is used for the sale and purchase of residential real estate and can include various addendums, including but not limited to property disclosure statements, lead-based paint disclosures or for particular VA or FHA mortgages involved in the transaction. Offer to Purchase and Contract-Vacant Land (Standard Form 12-T): This type of contract is used when the transaction involves only a vacant and unimproved land. 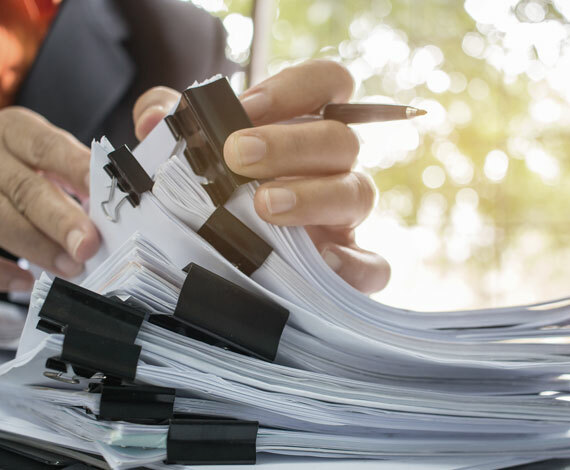 Apart from these standardized contracts, there can also be more customized and/or unique purchase agreements used for real estate transactions. These are often used for more complex commercial or development transactions or for specific subdivisions. How Can A Real Estate Contract Attorney Help? Buyer or seller, working with an attorney can be helpful throughout the transaction. For example, if the property being bought or sold is land to be developed or improved, an attorney can draft any necessary covenants or restrictions and/or any form of necessary easements into the contract. A Kick Out Clause: Commonly called an escape clause, this contingency clause lets the seller keep the property on the market while accepting the buyer’s contingent offer and to “kick out” the buyer if the seller obtains a better offer in the certain period of time established by the clause. Appraisal: This clause would require that the property appraises for the contracted purchase price and for the contract to be terminated if the appraisal falls below the established pricing. Mortgage: Sale of the property is conditional on the buyer’s ability to secure and qualify for a mortgage for the property. General or Specific Inspections: Execution of the contract occurs if the buyer is satisfied with the results of any form or format of inspection of the property if this is needed to be continued beyond any due diligence or examination period of the contract. Another Sale/Contingent on Sale or Purchase: This clause allows the purchase or sale of the property in question to be conditional upon the purchase or sale of another property. Why Have An Attorney Review Your Contracts? Goosmann Rose Colvard & Cramer, P.A. also makes sure the contract is the result of a meeting of the minds — clear agreement by both parties to the terms — and has consideration of value. While consideration is most often thought of as money, the contract consideration can be an exchange of other property and/or a promise to perform or to pay.